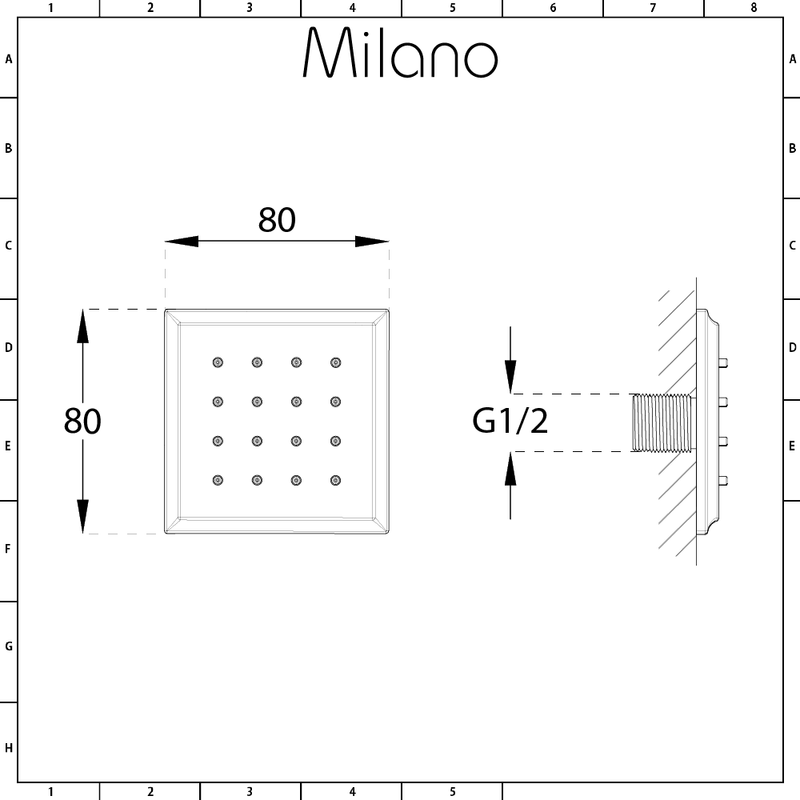 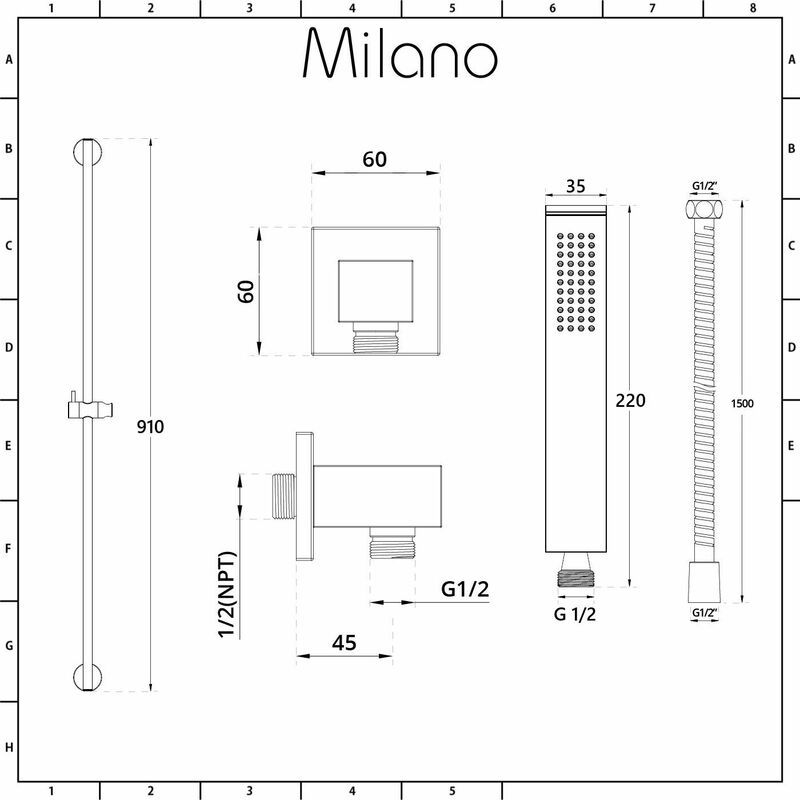 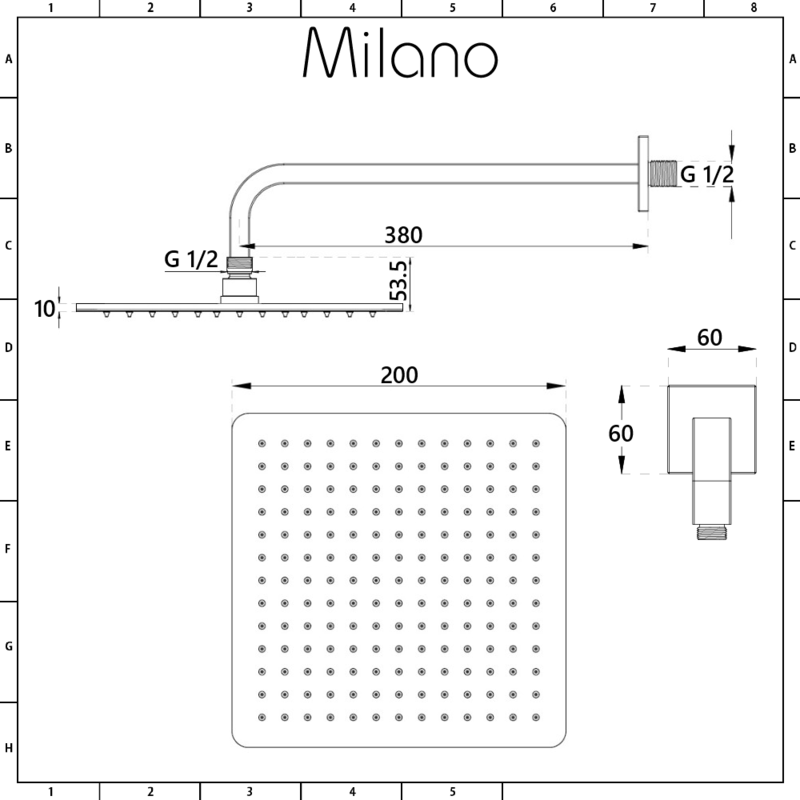 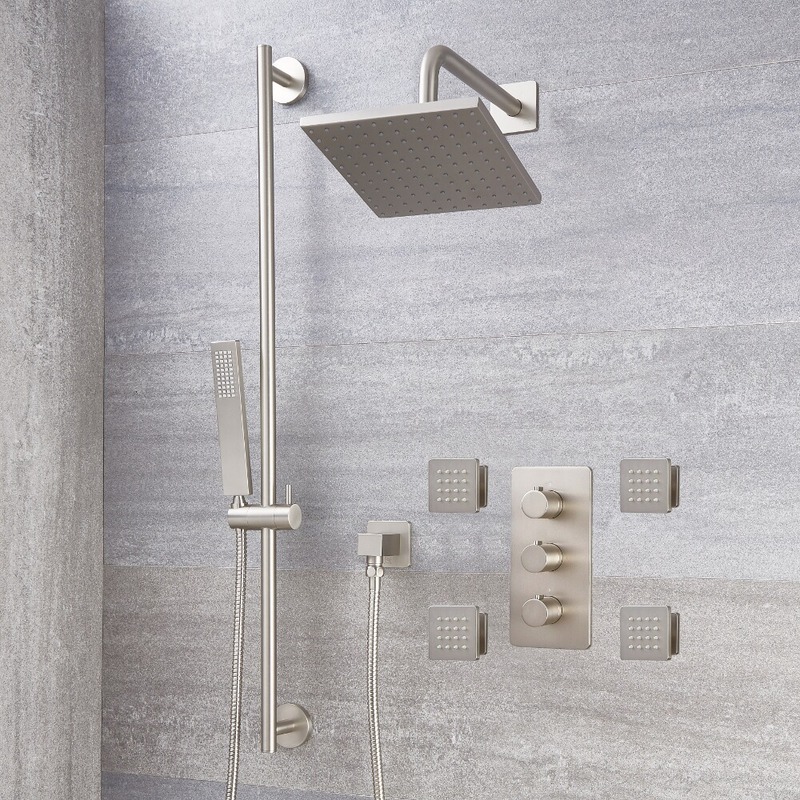 Create a stunning designer look and enjoy a luxurious spa-like shower with the Milano Hunston triple thermostatic shower valve, 200mm square shower head, slide rail kit and body jets. 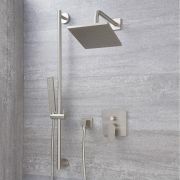 Supplied with the wall arm, the 200mm x 200mm shower head features a brushed nickel finish for a contemporary look. 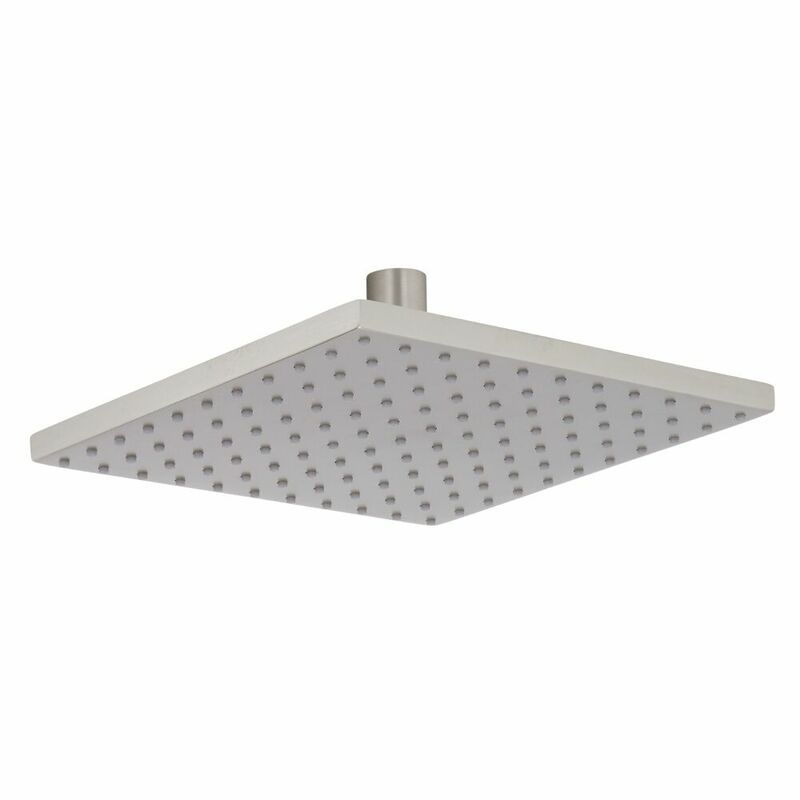 Through its 121 nozzles, this shower head will give you a luxurious water coverage and its rainfall effect is sure to leave you feeling awake and refreshed every time. 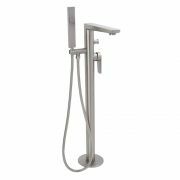 The 121 nozzles are made of silicone, which ensures that limescale deposits can be wiped away with ease. The thermostatic valve blends the hot and cold water to ensure a constant and safe showering temperature and will rapidly shut off in the event of hot or cold water supply, meaning you and the whole family can enjoy a safe showering experience every time. 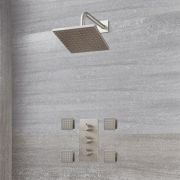 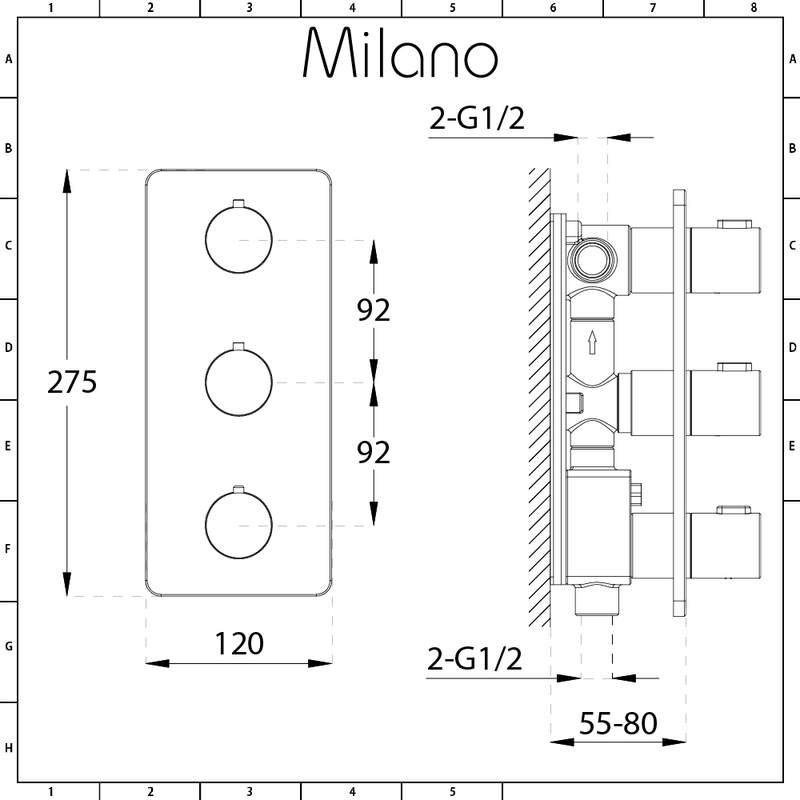 The valve ceramic disc technology, which prevents any leaks or drips. 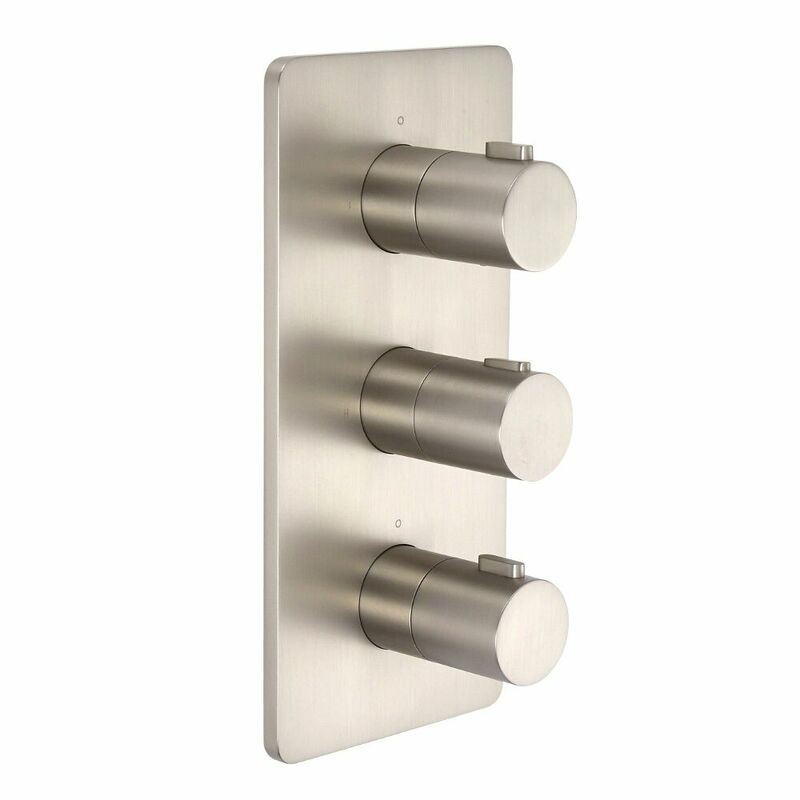 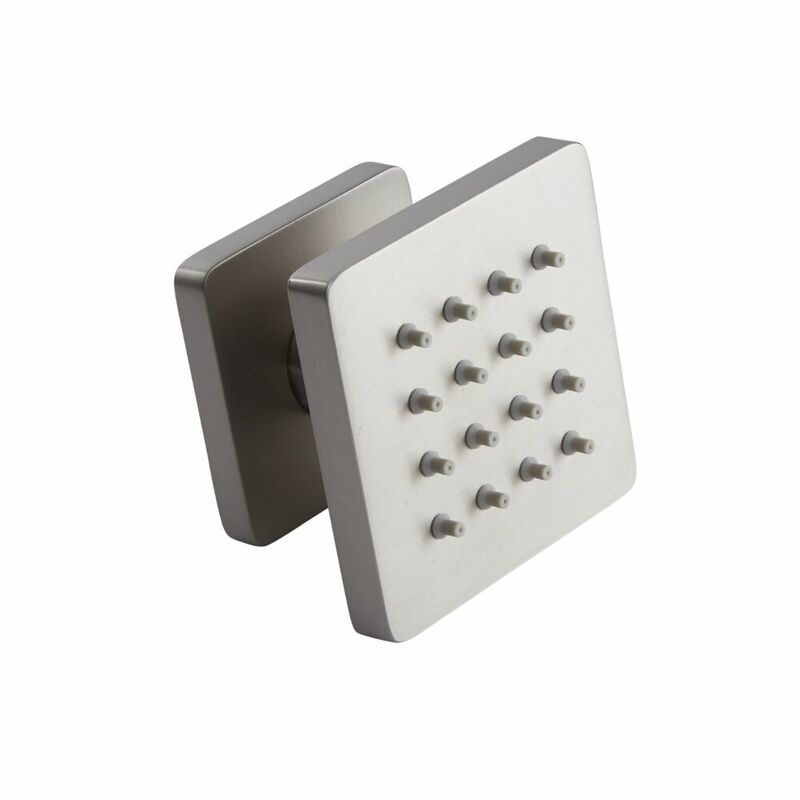 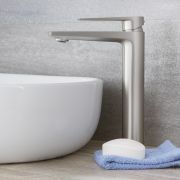 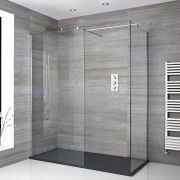 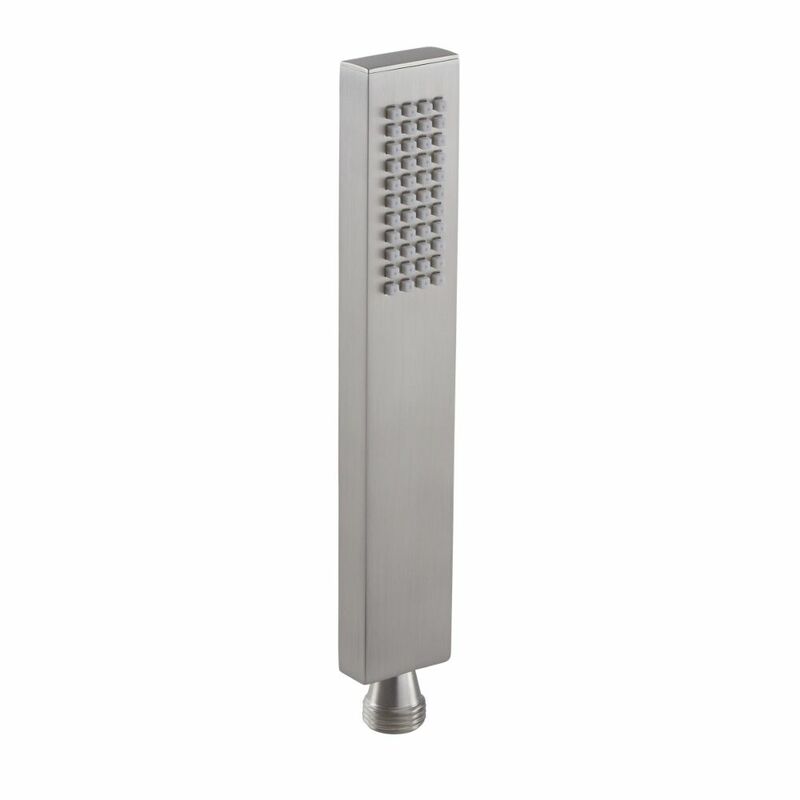 A stylish and practical option for any bathroom, the slide rail features a modern design and a brushed nickel finish. 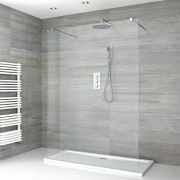 The hand shower can easily be adjusted to your desired height, making it ideal for all the family, and because it's removable, you can rinse and clean around your enclosure with ease. 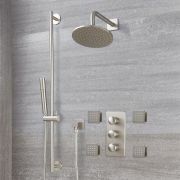 The hand shower uses 44 easy-to-clean silicone nozzles, which give you a luxurious water coverage. 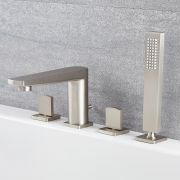 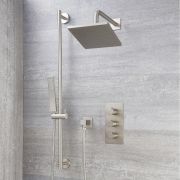 The hand shower, rail and outlet elbow are made from solid brass, while the shower hose is made from stainless steel, giving you a shower kit that you can enjoy for years to come.